I bet many of us, including myself, are interested in Japanese Animes. In my generation's time, major were die-hard fan of Dragon Ball Z, Digimon, and Naruto. As I grew up, I realized and learned some interesting and beneficial similarities between these animes. Patamon and it's partner, T.K. From an ordinary and primary digimon, Patamon can digivolve to Angemon and MagnaAngemon, a powerful creature, with the help of T.K's crest, The Crest Of Hope. Both of them carry the HOPE of the mankind and the digital world to demolish the dark and evil digimons. Uzumaki Naruto and Uchiha Sasuke. Although Naruto known for his dumbness, but he defeated many of his powerful villains in his search for Sasuke. His HOPE to bring Sasuke back to the good side as they were in Team 7 under Hatake Kakashi make him an invincible ninja. Son Goku always won although several times, he faced fatal battles with enemies throughout the world. He cast Energy Ball to kill Majin Buu in their fight by the help of the mankind and all creatures, as he was the only HOPE to save the universe from the killermachine Majin. That HOPE too that brought our Prophet, Muhammad S.A.W to play the part and take the role. He patient although He faced oppositions from His relatives and families. He is spirited to preach Islam and Da'wah to all the mankind, although He knew that the veto of that time (Byzantine and Persian) will go against Him. He forgave and forget all kind of mistakes done to Him, as long as they embraced Islam. He is encouraged, as He know He is the HOPE and MESSENGER sent by Allah to save the mankind and humanity based on the Deen. He is the real Saviour and Hero among us, humans. Hope really has hidden strengh and power. It can make us an extraordinary person. It can light up the will, the energy within and the force outside. 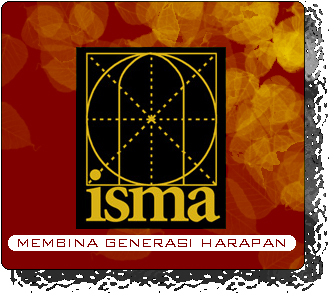 Congratulations ISMA, for came out with such an inspiring slogan, 'Membina Generasi HARAPAN'. "Towards The Generation Of Hope"
28 Nov 2011 04.07 p.m.